NOTE: No Name Trail is currently closed due to downed trees. Please choose another amazing jeep trip…until further notice! As its name suggests, we’d like to keep this little gem of a jeep trail a secret…so, shhhh! The No Name Jeep Trail is located near Vail and is perfect for those looking for a true Colorado adventure that offers some serious jeep terrain and a quarter-mile hike to a stunning 360° mountaintop view. The No Name Jeep Trail explores many of the same unique historical sites as the Camp Hale jeep tour including several of the Vail area’s historic mountain towns. You’ll find character in the bustling towns of Minturn and Red Cliff, which present a sharp contrast to the ghost town of Gilman, an abandoned mining town that’s perched on a cliff. On the way to the trail, the winding road up Battle Mountain offers expansive views of mountain scenery and dense aspen groves that color the landscape a bright green in the summer and an explosive yellow-orange in the fall. 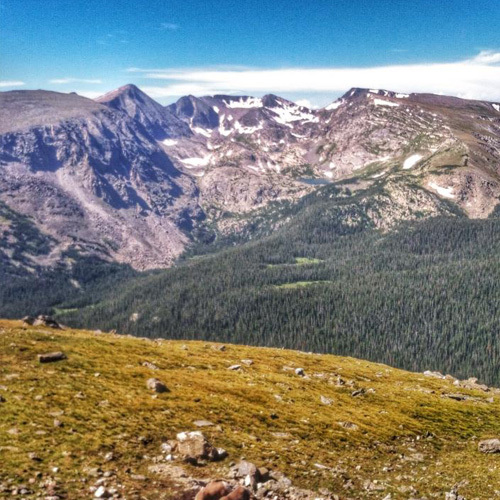 Once on the No Name Jeep Trail, you’ll experience more of Colorado’s wild mountain terrain. This adventurous jeep trail climbs above the Homestake Valley to gain views of the Sawatch Range and is great for those looking to be immersed in the wilderness all day. Wildlife including mule deer are common in this area, so keep your eyes open for prime sightings. 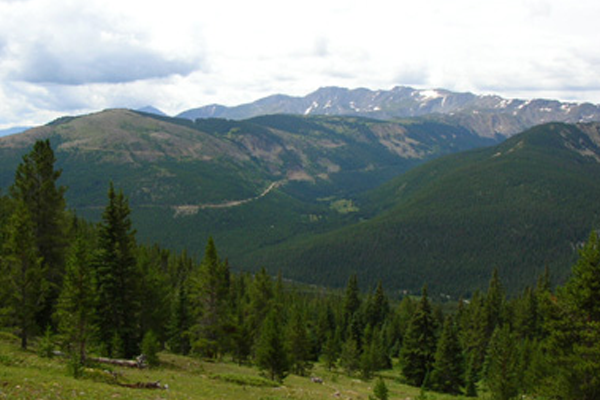 This trip’s summit experience involves parking the jeep and hiking up into the Holy Cross Wilderness Area to one of the most scenic picnic destinations you will experience in your lifetime, so don’t forget hiking shoes and your best camera. This trip is a great option for adventurous groups looking to stretch their legs mid-tour while getting the experience of an authentic Rocky Mountain high. 4.5 hours total: 1 hour on the road. 3-3.5 hours on the trail. Note: 30-45 minutes of hiking at high elevation is required. Timberline Tours jeep tours include gourmet snacks and water; We are happy to accommodate any specialty snack or beverage requests if given prior notice. Hiking Required. Bring Appropriate Footwear.